Located in the upper levels of Kyoto’s recently rebuilt railway station, the Granvia Hotel Kyoto is the most convenient as well as one of the most luxurious of Kyoto’s hotels. The Granvia offers excellent service, impeccably comfortable rooms, and a desirable selection of restaurants and bars from which to enjoy the city lights at the thoroughly modern heart of the old capital. Despite the location, the Granvia Kyoto’s cosy rooms are perfectly quiet, and seem a world away from the fascinating, busy station building. Within the hotel, the chic décor blends traditional and contemporary styles and there is a wide variety of restaurants, cafés, bars and lounges to choose from, in addition to an indoor swimming pool. On your doorstop you also have hundreds of themed restaurants, boutique shops, cafés and a department store all set within the same station building. It is worth exploring to get the views over Kyoto and look down over the station from the suspended walkway. Staying here also makes it convenient and simple for those who enjoy venturing out independently. The Hotel Granvia Kyoto could not be located more conveniently: you can hop off your train and within 2 minutes be at the entrance. My immediate impression upon walking into the lobby was one of sophistication and luxury. A small crowd of bellboys and concierge wait at attention and I was impressed by their level of service. One of the highest buildings in Kyoto, the Granvia offers beautiful views over the city. 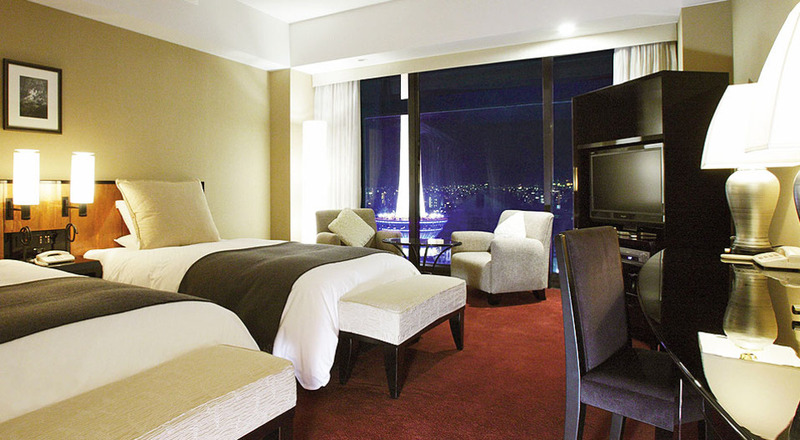 This is a great hotel for those wanting to independently explore the city and stay in luxury. I recommend the Deluxe King/ Twin rooms: although the same size as the superior rooms, they feel much more comfortable and more stylish.